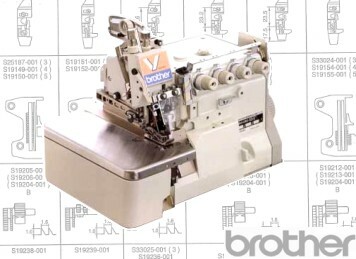 BROTHER EF4-N11, EF4-N21 & MA4-N31 High Speed Overlock Machines. Need Parts, Needles or Service to your Overlock Machine? Then just CALL US and we'll see if we can help you. We Hold Stock of all Everyday Items for these machines and have access to a wide range of manufacturers Original Spare parts as well. To Help You Find What You Need see the PARTS BOOKS below or Call Us and we'll be delighted to help.